Unhybridized coreopsis specie produce viable seed. 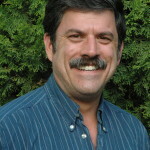 UNITED STATES—The gardens with the most flowers need the most deadheading. This involves the removal of deteriorating flowers and any developing fruiting structures and seed associated with them so that they do not divert resources from subsequent bloom or vegetative growth. Old flowers that do not produce seed because they are sterile or lack pollinators might get deadheaded too if unsightly. Deadheading is not for everyone though. Flowers up in trees, big shrubbery or large vines are obviously out of reach. Many annuals, like alyssum and nasturtium, produce far too many flowers to be deadheaded. Most plants bloom and disperse seed without bothering anyone, or even getting noticed. Bougainvillea blooms too flamboyantly to miss, but then sheds neatly without any help. Bougainvillea does not set seed anyway. The insects that naturally pollinate it within its native range in the Amazon River Basin probably do not live here. Yuccas that live far from their native range likewise lack the specific yucca moth that they rely on for pollination, although some get pollinated by accident. Big yucca stalks get deadheaded just because they are not appealing after bloom. What is more fun than what gets deadhead is what does not get deadhead. The alyssum and nasturtium mentioned earlier naturally naturalize where they get watered. They toss so many seed around that they can replace themselves as readily as the old plants die out. California poppy, cosmos, calendula, campion, and many other annuals as well as a few perennials, can do the same. Besides that, there are all sorts of seed that can be collected from old flowers for the following season. Each variety of flower finishes in its own season. Each variety likewise gets sown in its own season. It is not necessary to leave all fading flowers if only a few can provide enough seed for later. It is important to remember that hybridized and some overly bred cultivars do not produce viable seed, and that subsequent generations of the fancier varieties will revert to be more similar to their simpler ancestral parents. It is a common theme. Coreopsis was a much simpler group of only a few specie and cultivars in the 1980s. There are now too many hybrids and cultivars to keep track of. They have been bred so extensively that they do not produce viable seed like the old fashioned types that can self sow so nicely, and were more closely related to the unimproved specie that would be found in the wild. Breeding did more than expand the range of floral color and form. It combined the more impressive flowers with the resiliency of the toughest of perennial specie. Because they are sterile, some of the modern hybrids may not need to be deadheaded like more traditional types. Although, tougher modern hybrids can capitalize on the sustainability fad, they can not proliferate and naturalize. Coreopsis blooms in summer and autumn. The small daisy like flowers can bloom yellow, orange, red or pink, but traditional bright yellow is still the favorite color. Most cultivars are less than two feet tall and wide. A few can get nearly twice as tall. The most compact cultivars are only about half a foot tall. 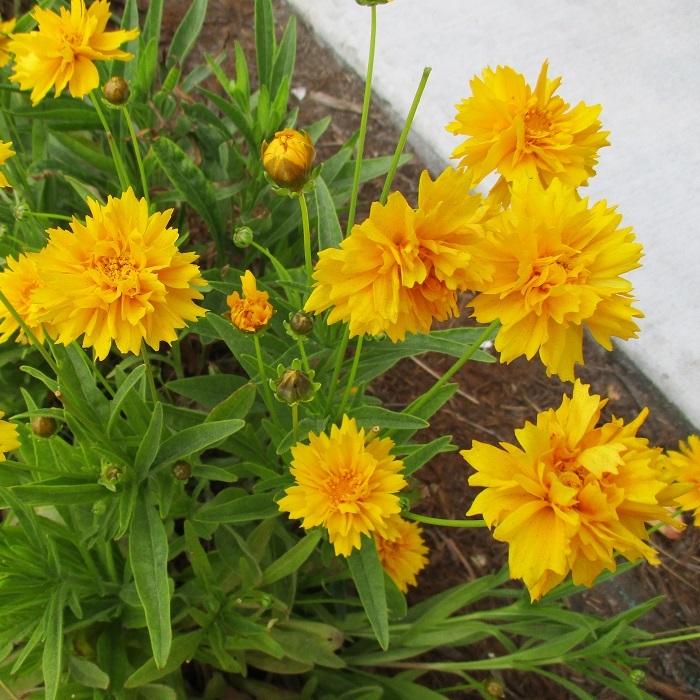 Coreopsis wants good sun exposure, and will bloom less and likely mildew if shaded.